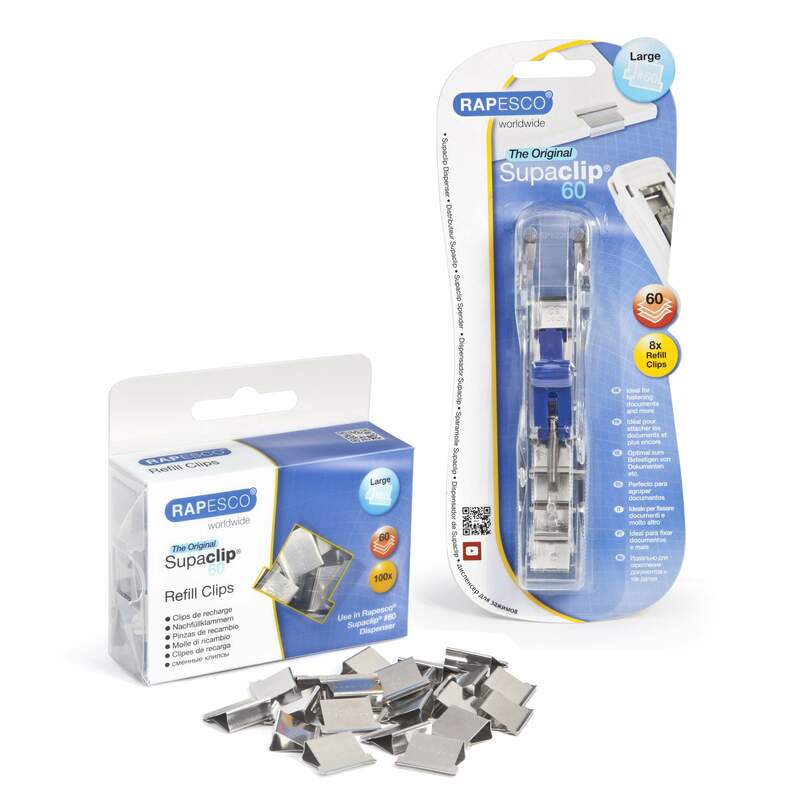 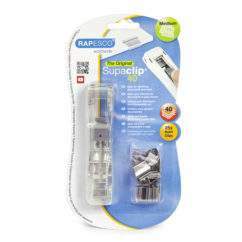 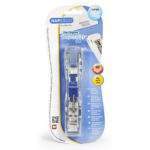 This Rapesco Supaclip® #60 bundle is comprised of a dispenser and 100 stainless steel refill clips. 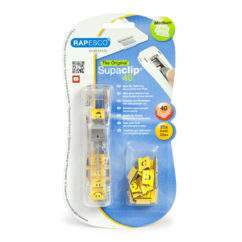 The original Supaclip® #60 Dispenser is quick and simple to use, fastening paper and many other materials securely. One clip holds 10-60 sheets (80 gsm). 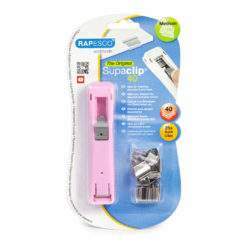 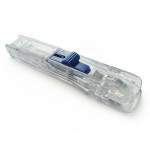 Each clip can be removed and reused again without damaging the paper. 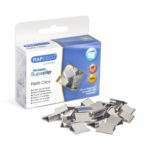 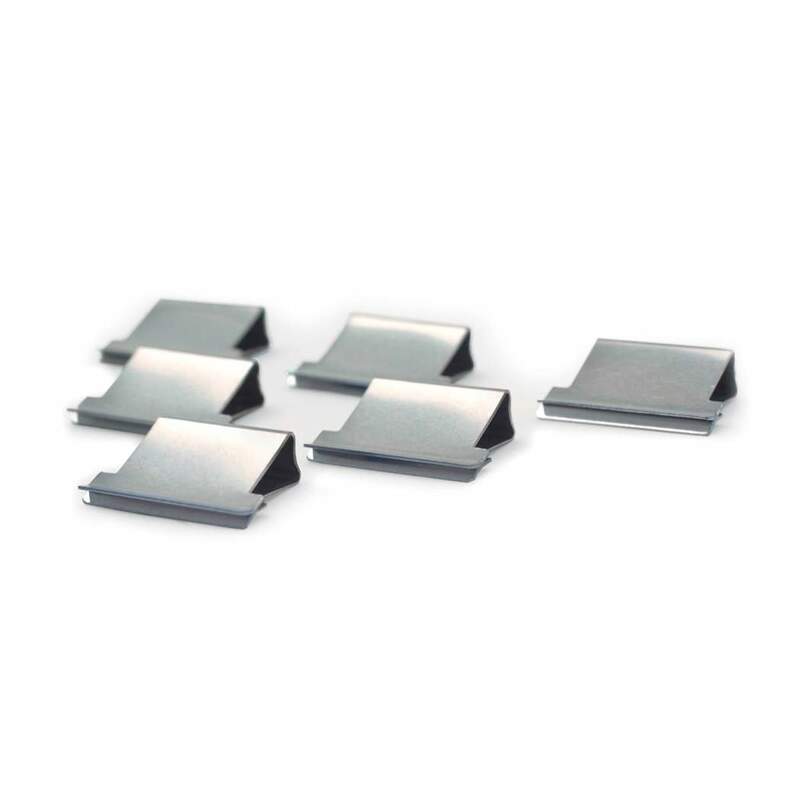 Includes 1 box of 100 Stainless Steel Clips.